It was one of the most perfect of all the Wisconsin summer days. 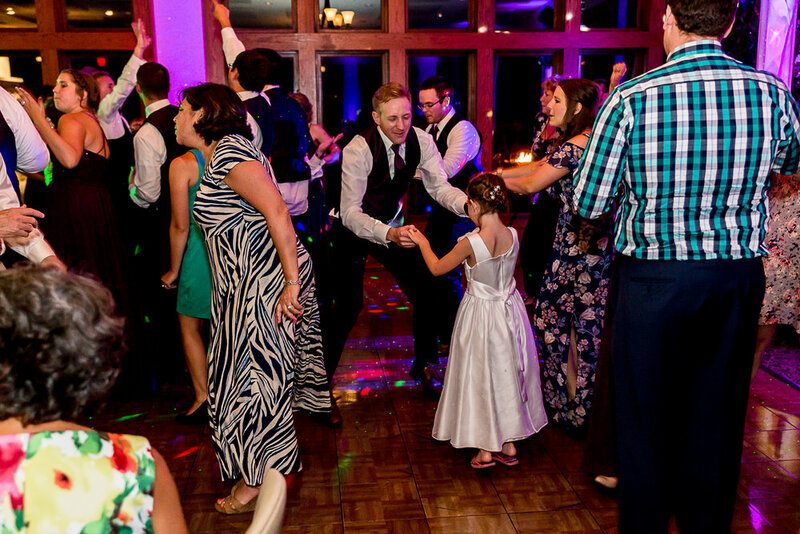 Nick and Katie have been looking forward to their wedding day for so long. 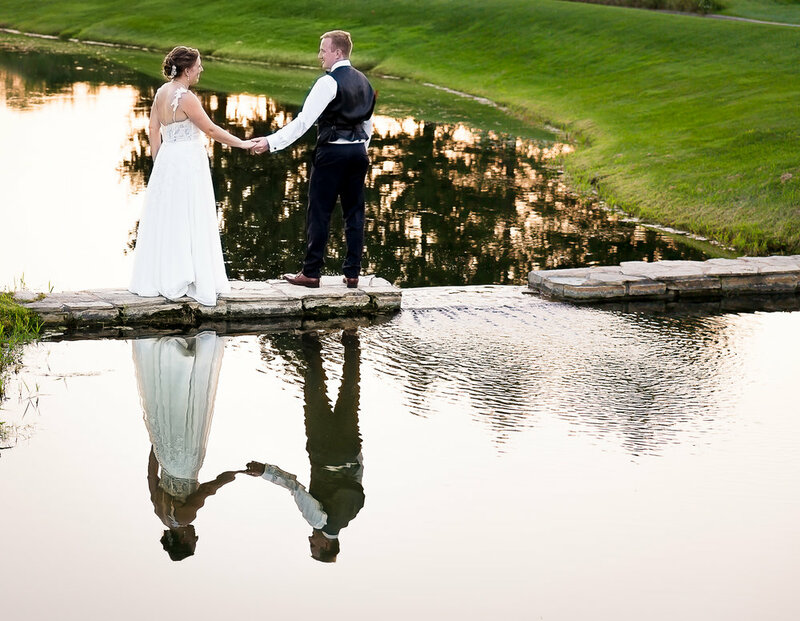 All their hard work and planning reflected in the details and in the moments of their entire wedding day. The sun rays beamed down majestic gem colors through the beautiful stained glass windows of the historic St. Mary's Parish in Menomonee Falls, Wisconsin. Each Bridesmaid's dress hung on a white hanger with their names written on it by Katie. With the help of her seven Bridesmaids, Katie was calm and cool as she put on her wedding dress. While Katie's Mom helped with her wedding day jewelry, the Flower Girl, Grandmas and Nick's Mom were present and excited for this moment. Nick arrived to the church with his manly crew, all in their coordinating tuxedos, looking so handsome and stylish. 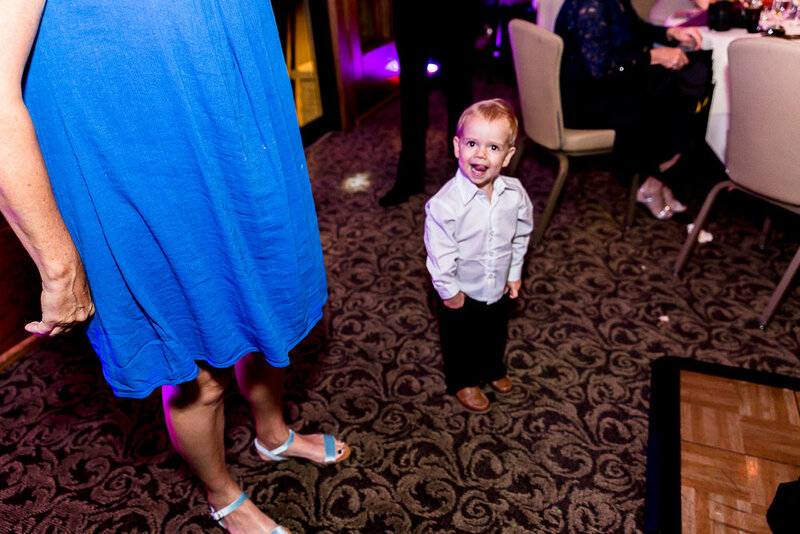 Nervous and giggly, anticipating the moment he would soon see his lovely Bride, Katie. 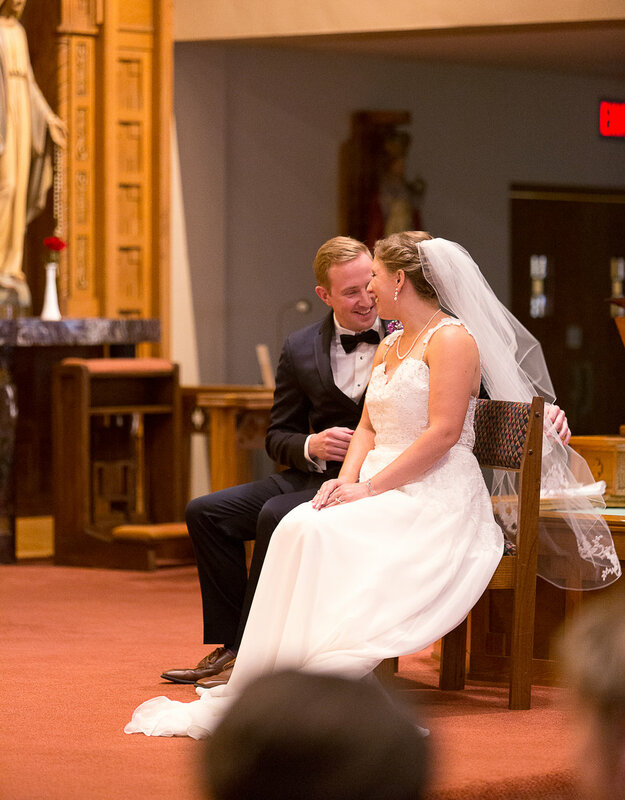 This beautiful young couple promised to love and respect each, then sealed their promise with a kiss, while the love and support of their family and friends watched on. Now Husband and Wife, Nick and Katie performed their first duty as a newlywed couple and greeted their guest as they left the church. 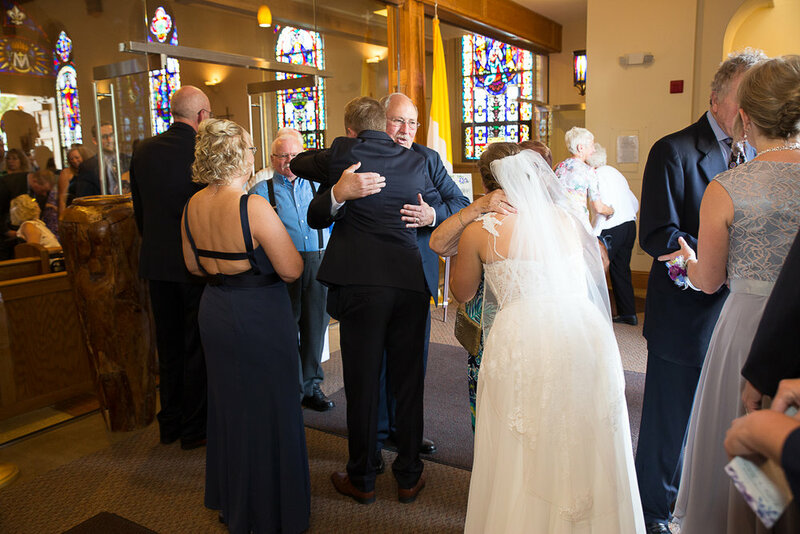 The Groomsmen, Ushers, and Bridesmaids lined the outside steps of the church, hanging a high five to each person walking passed. The day was so much fun and so lovely. 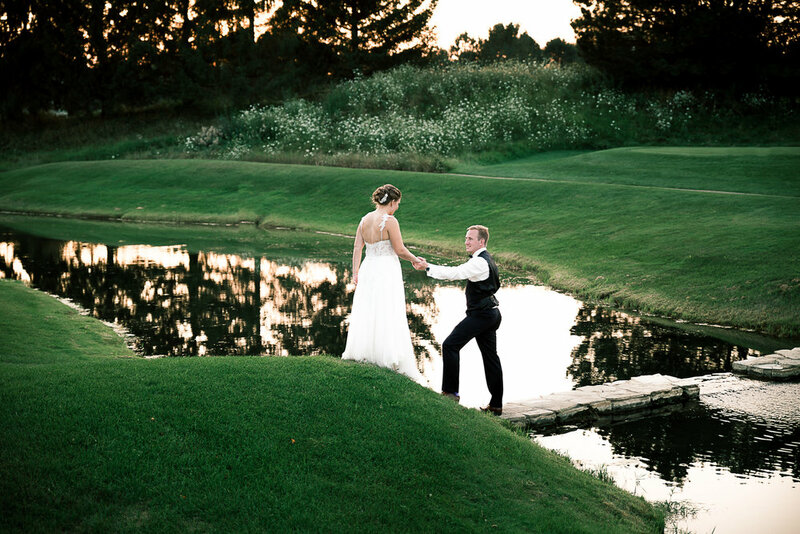 Nick and Katie arrived their Wedding Reception at The Legends at Bristlecone in Hartland, Wisconsin . 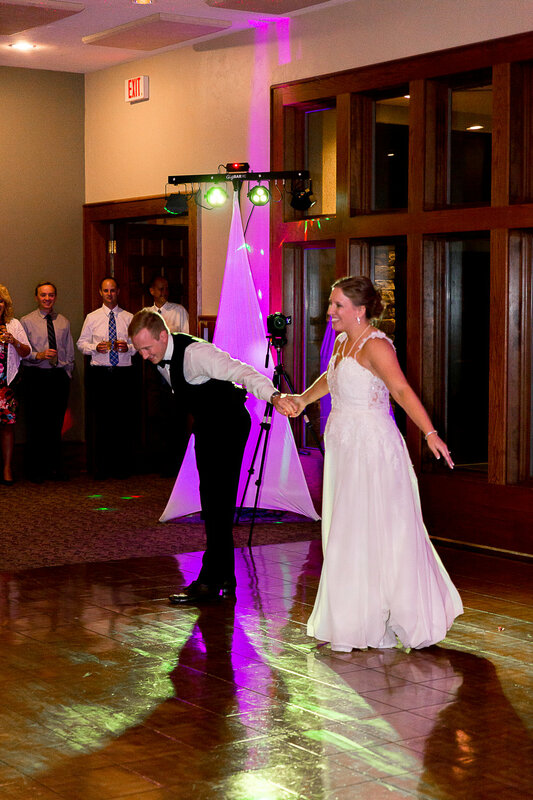 They wedding party was introduced, then Nick and Katie were led perform the tradition of cutting their Wedding Cake. 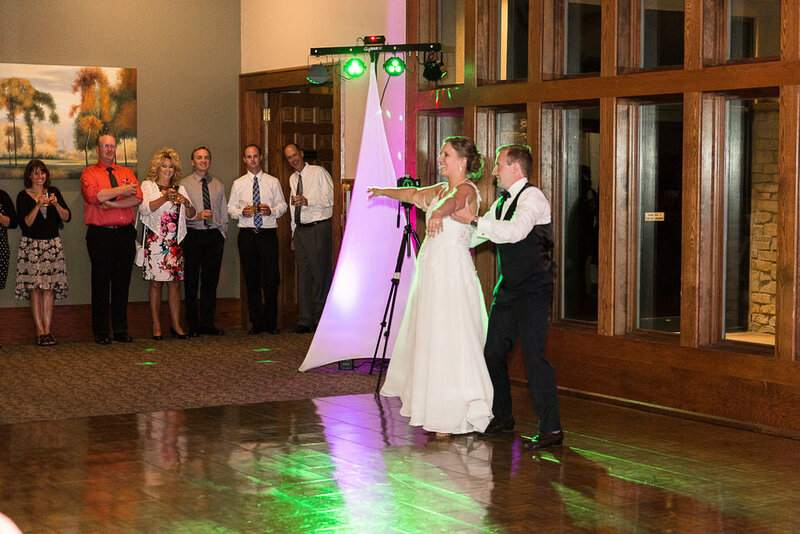 The couple surprised their guest and choreographed their First Dance, which if I could describe it, are the characteristic of Nick and Katie as a couple. 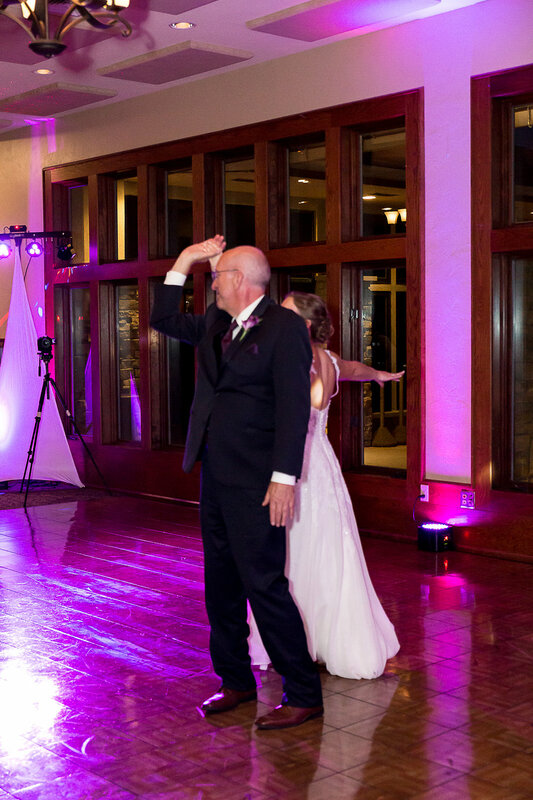 Their first dance would be described as very classy and graceful, thoughtfully placed footwork with constant movement, lots of face to face close moments with many twist and turns filled with lots of laughs and fun. Katie's Father and Nick's Mom were also part of the surprise choreographed dance and the rest of the evening was consisted of a dancing the night away under a marvelous moonlight summer night. It was all the little details of the day and the people that surrounded this young couple that I know, Nick and Katie are in good company as they start their new journey as one. Nick and Katie, I just wanted to say 'THANK YOU". I appreciate and adore you both, and your family and your friends. You made me feel like the luckiest photographer to document your love and I'm happy to call you and your family and your friends...my friends. I want to cheers to you both for good health, lots of joy and making lots of memories together! Much Love and Appreciation! Jenna.